We are always busy here at Promultis, see our latest work below! 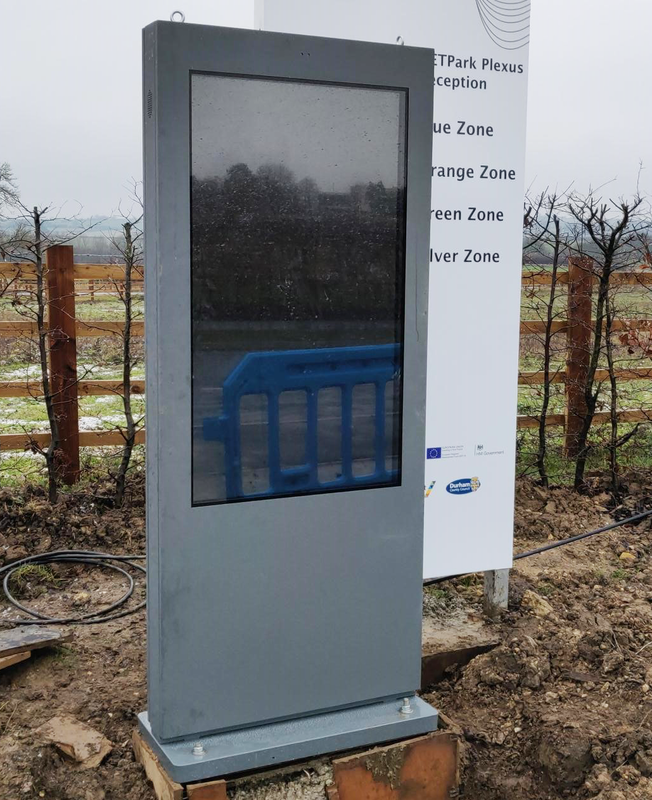 Durham Council needed a new Digital Signage Solution to replace the business parks existing signage. Cornerstone OnDemand Inc. is a cloud-based learning and talent management solutions provider. They had a stand at a 2 day event at the Intercontinental Hotel at The O2, London. They wanted an eye catching large format digital signage solution. Retirement Villages Group Ltd has been developing and managing purpose built, retirement communities throughout the UK since 1981. 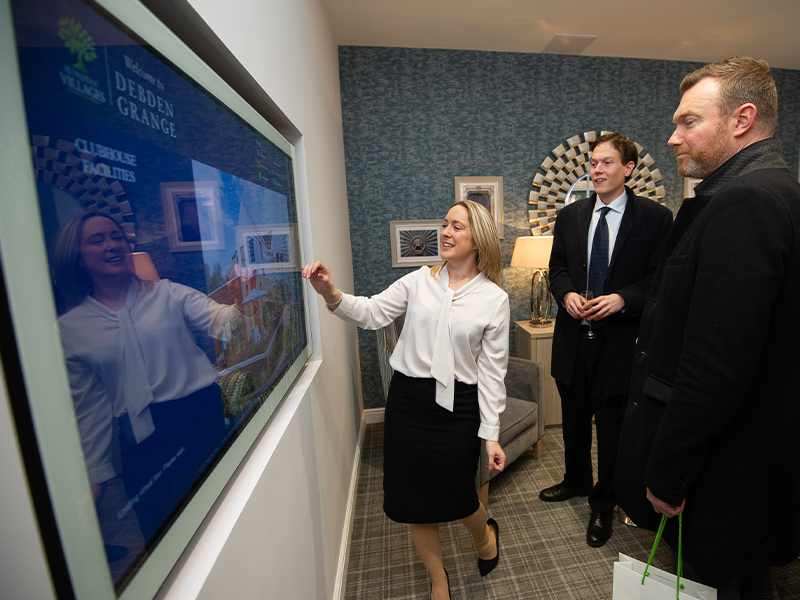 They came to us requiring a full hardware and software solution that presents users with property information for their new development,Debden Grange, in Newport. 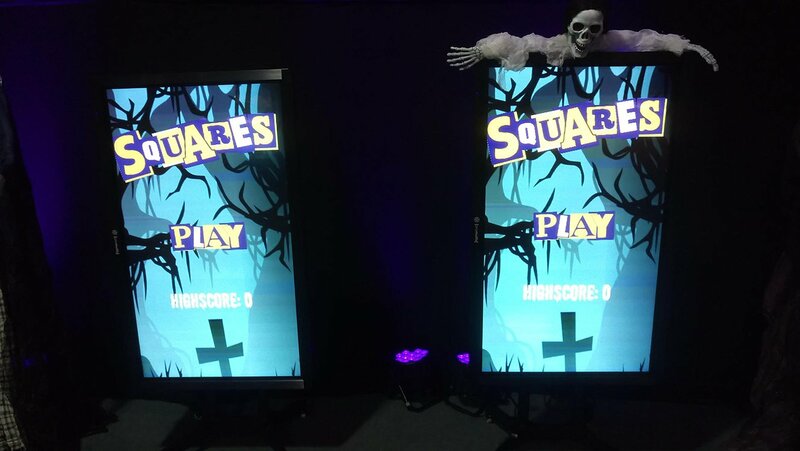 A three day rental of Eight Interactive Screens loaded with Client-made Interactive Software which ran on the screen’s built in Android OS. 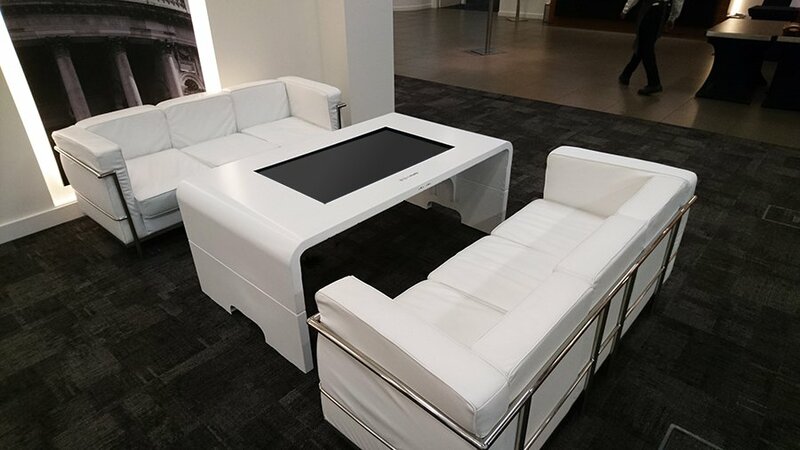 A one day rental of three Interactive Tables loaded with Bespoke Interactive Software which was customized for each individual table. 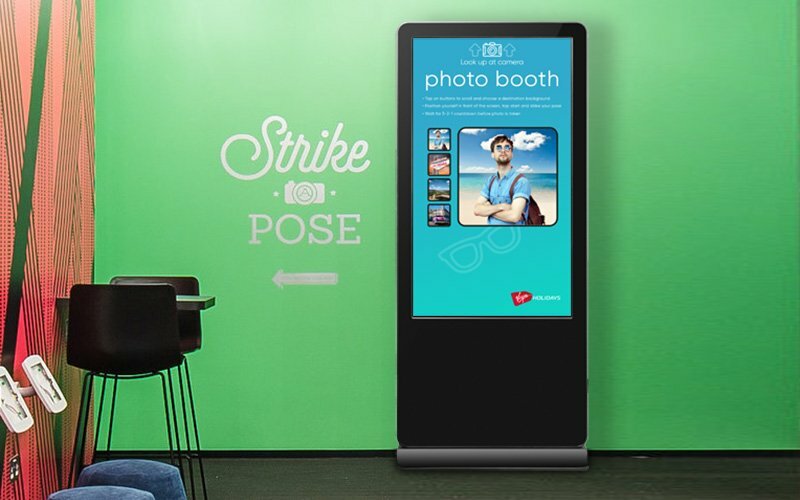 We have recently developed an innovative object recognition solution that allows the use of object recognition markers in a standard interactive experience. 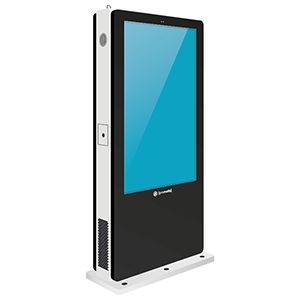 These markers can be configured to open media such as documents, images and video or as seen in the video; make use of an orientation operated menu that follows the marker while still allowing for normal touch interaction. 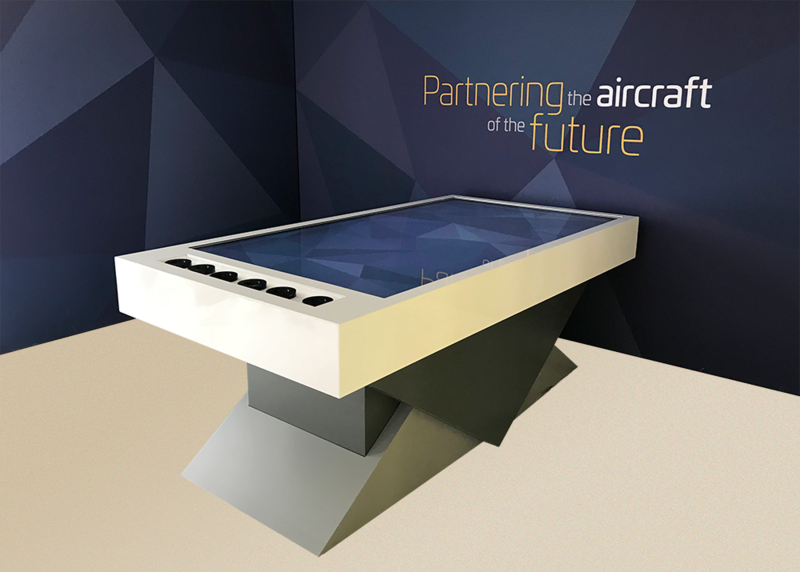 Promultis developed and assembled two interactive touch tables for Farnborough airshow. 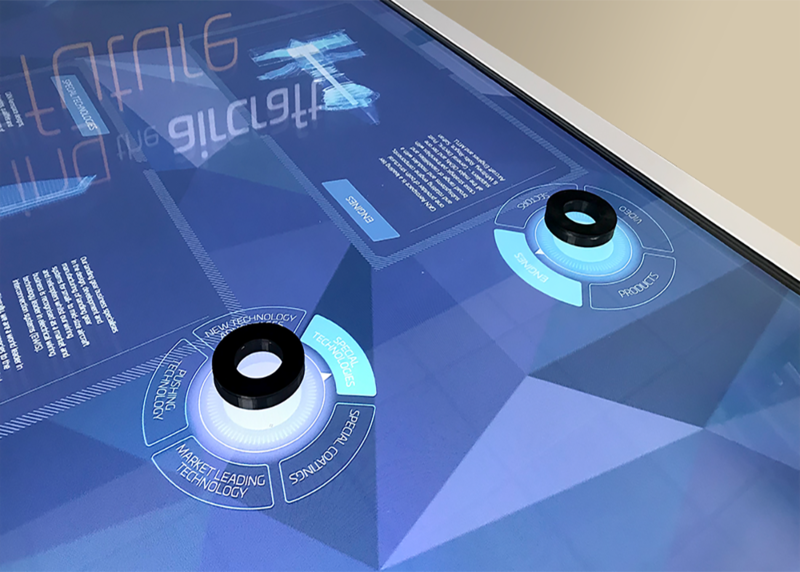 Both the design of the table and the object recognition experience is completely bespoke. Content is opened using objects placed on the screen. Promultis delivered an Interactive table to an Essex Wildlife Trust visitor center in Walton-On-The-Naze. The table will be used in conjunction with Object Recognition software using custom printed 3D models. Promultis technicians delivered and installed the table and provided a training session so EWT staff can customize what content is displayed at any time. 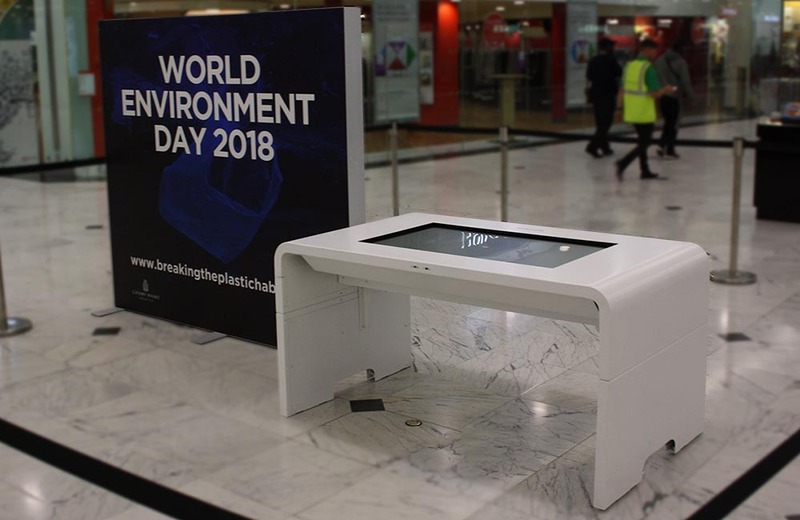 Promultis delivered an Interactive table to Canary Wharf for world environment day. As well as the delivery, we also developed bespoke software using assets supplied by the client that allowed users to receive discounts for select stores all over the UK. 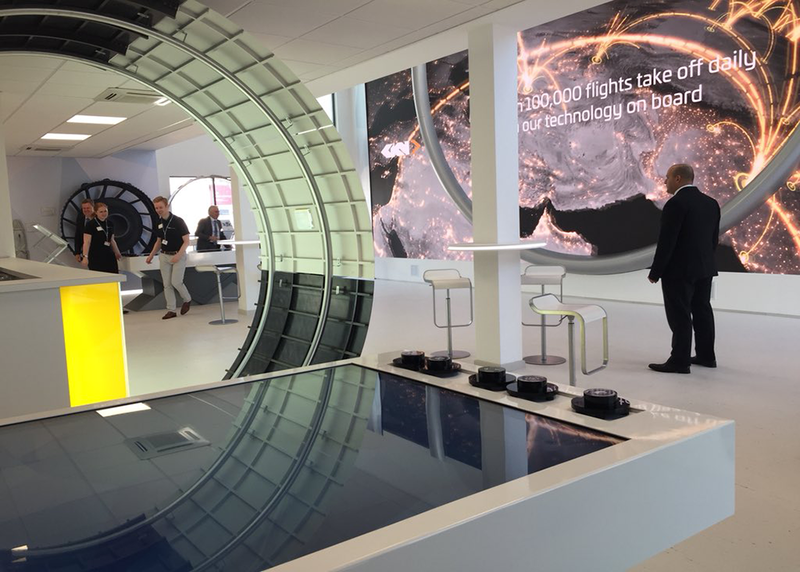 Promultis built, delivered and installed a 2×2 interactive videowall, an Uno Table and two Totem Focus’ into a large UK companies experience center. 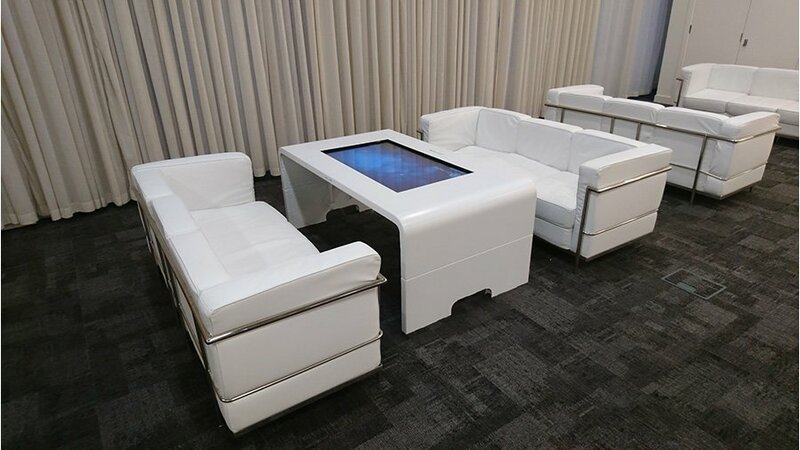 These Promultis products are situated in an area where staff socialise and relax. Promultis developed touch software allowing staff and visitors to engage with the companies training schedules and access media assets. This Promultis curved interactive video wall is the first in the world utilising projected capacitive touch technology! 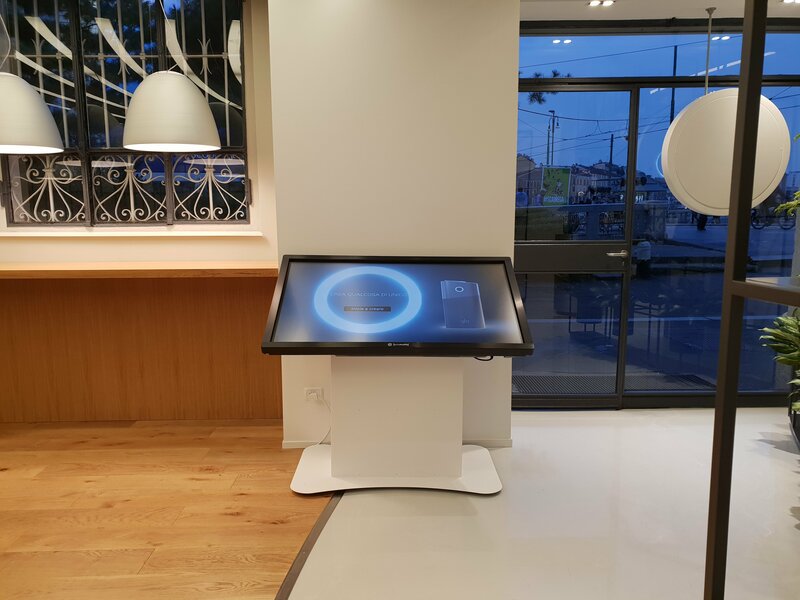 Following extensive research & development, our hardware & software engineers were able to manufacture and install a world first! 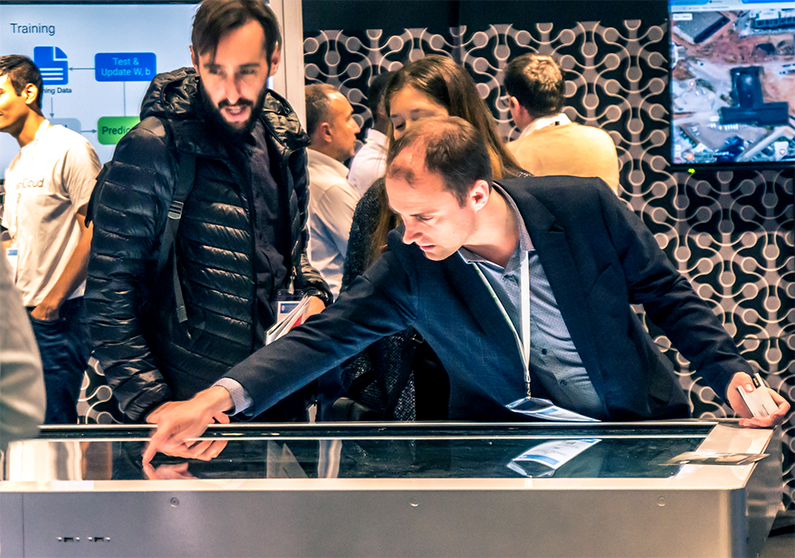 The first curved interactive video wall that utilises projected capacitive touch technology! Consisting of industry standard, high brightness, high definition screens in a 9×1 configuration, this wall is a true sight to behold. The curved design results in a much more engaging experience for the user, making the content feel closer than ever before. 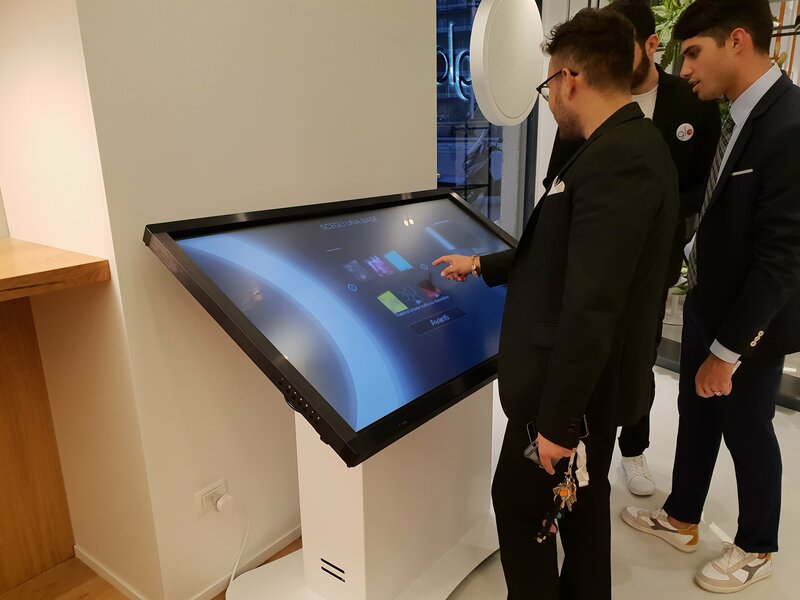 The solution is also capable of up to 360 touch inputs at any one time, so if required, 36 people could interact with the wall at the same time with both hands! The solution is driven by a Promultis built server using only the highest grade components and graphics cards, ensuring the wall runs smoothly for extended periods at all times. 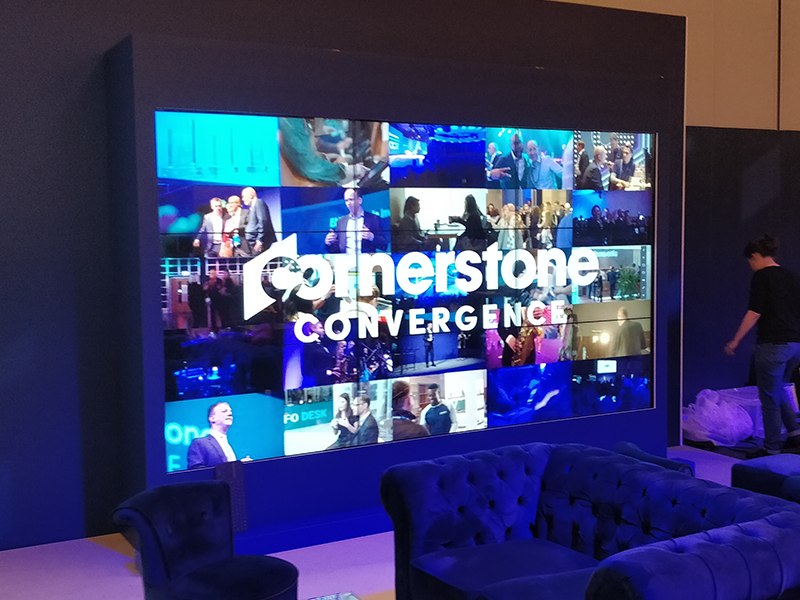 We have the know how to make your content feel closer and more engaging when utilising a curved design, this is a true breakthrough in the world of interactive video walls and opens a new world of possibilities for you, our clients! Promultis delivered two Totem Focus’ custom wrapped in white vinyl to an exhibition stand for Multimodal 2018. Bespoke software was created by our in-house software team which featured a map of the clients sites around the UK, a completely bespoke tap game and a live web browser. Promultis built and installed a 3×3 Interactive Video Wall and height adjustable, Uno Elite, projected capacative table. 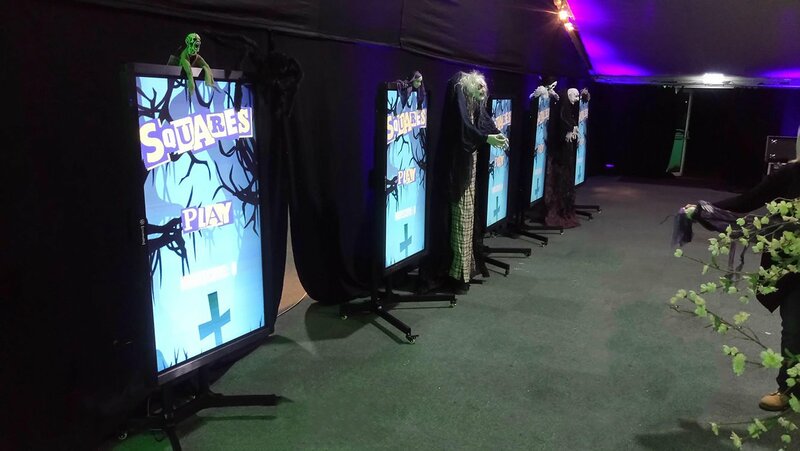 Promultis built and installed Branded Totems with bespoke digital signage software for information on facilities. 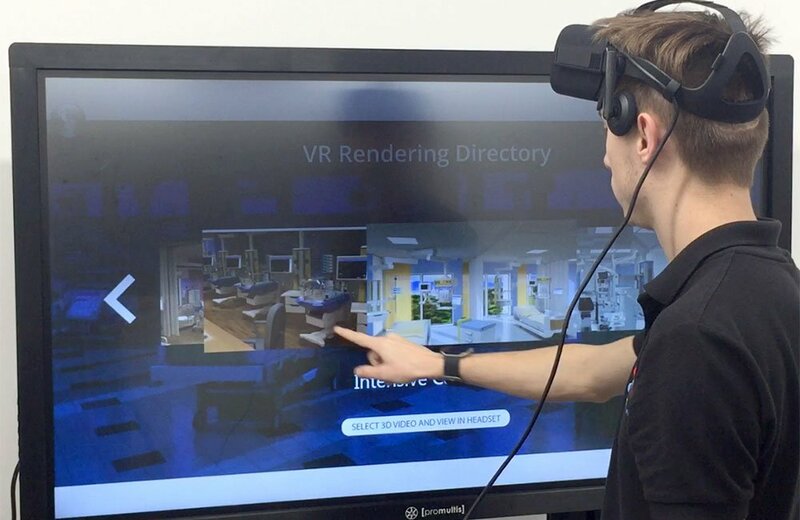 Promultis built and installed a 3D environment viewed through the VR headset with animated navigation carousel. Promultis built and installed a 2×2 Touch Video wall in Dirtt’s Green Learning Centre in London. Digital Construction Week is an event exploring how digital technology is changing the AECO industry. 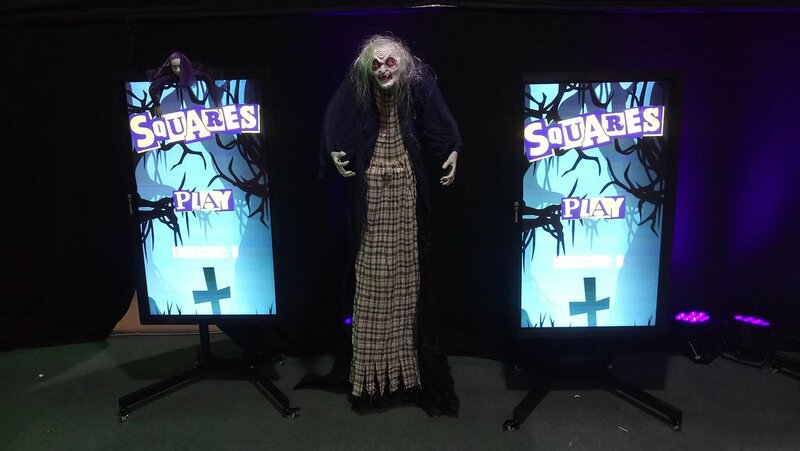 At the venue Promultis installed a 3×3 video wall for Soluis to showcase their latest technology. 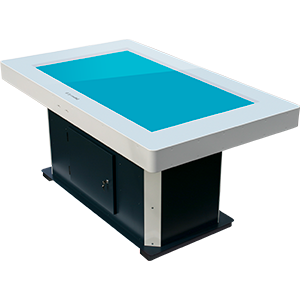 Promultis also supplied a Uno Elite touch table allowing customers to interactive with content from all four sides of the table. 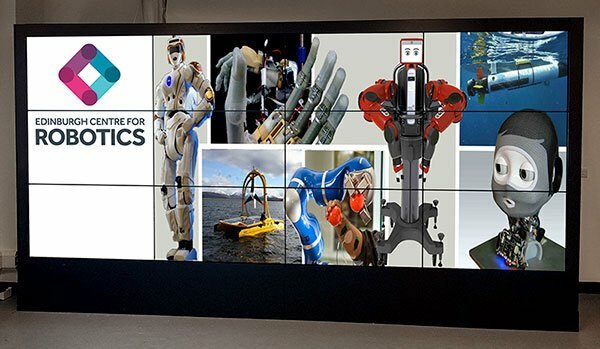 This incredible 4×3 interactive Video Wall was recently supplied to the Edinburgh centre for robotics at Heriot Watt University. 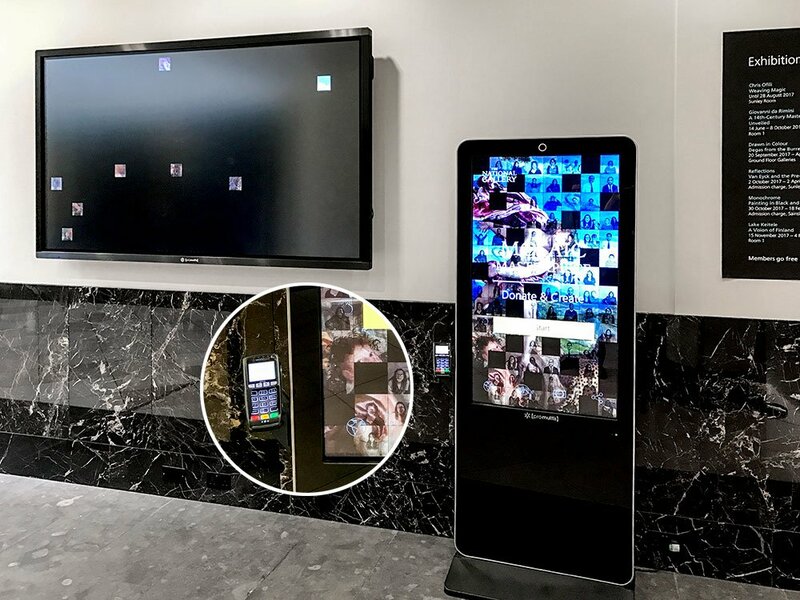 Promultis Drop-In insert with bespoke object recognition technology installed at the UK Visitor Centre of an international company in northern England. This prestigious London gallery required an interactive application that would allow a visitor to make a donation to the gallery. In addition, visitors are able to take a photograph of themselves which would be merged with a gallery painting and presented on a seperate screen in a mosaic. 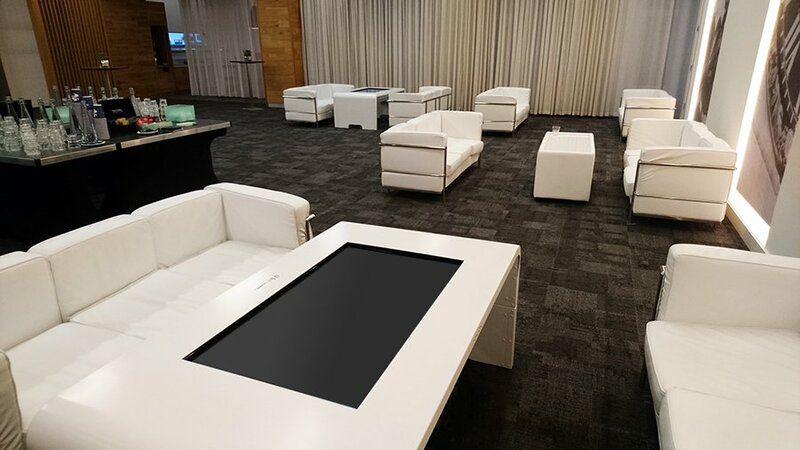 Promultis supplied several multitouch products including a 55” table, 65” Totem and 65” Drop-in to a leading airlines lounge. 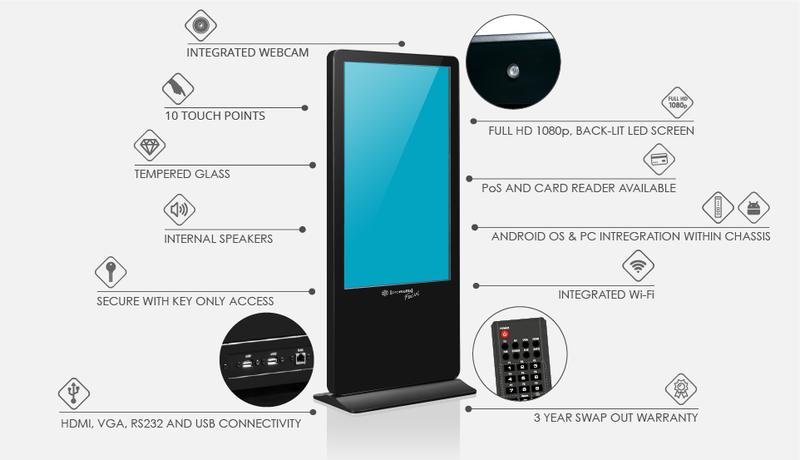 Promultis also developed a photobooth application on the Totem utilising the webcam. Using green screen the application captures the users photo against a selected holiday destination background. This image is sent to the reception desk and displayed on another screen! 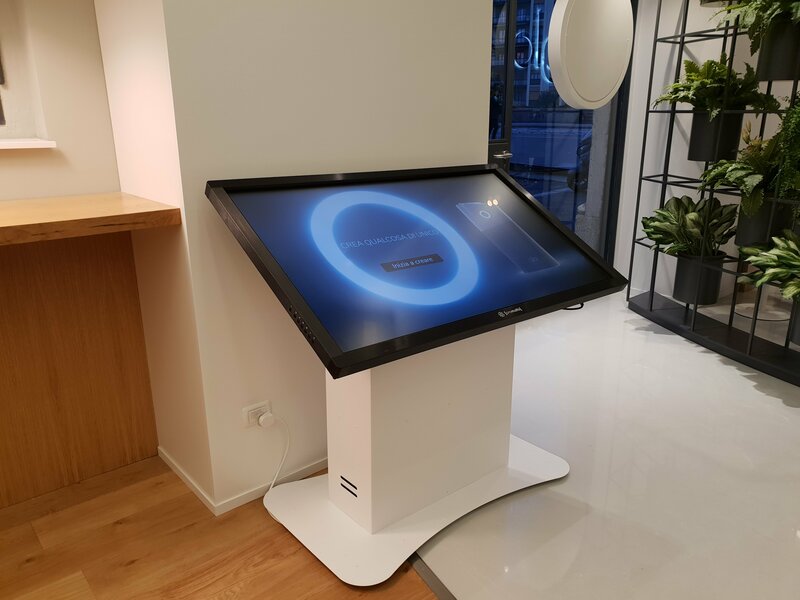 Promultis 55” Totem installed in Oxford Street department store displaying Wrangler’s interactive web content. 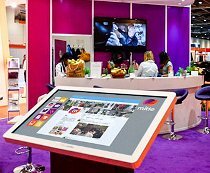 Promultis developed an interactive presentation for use on two standard kiosks for exhibition stand in London. 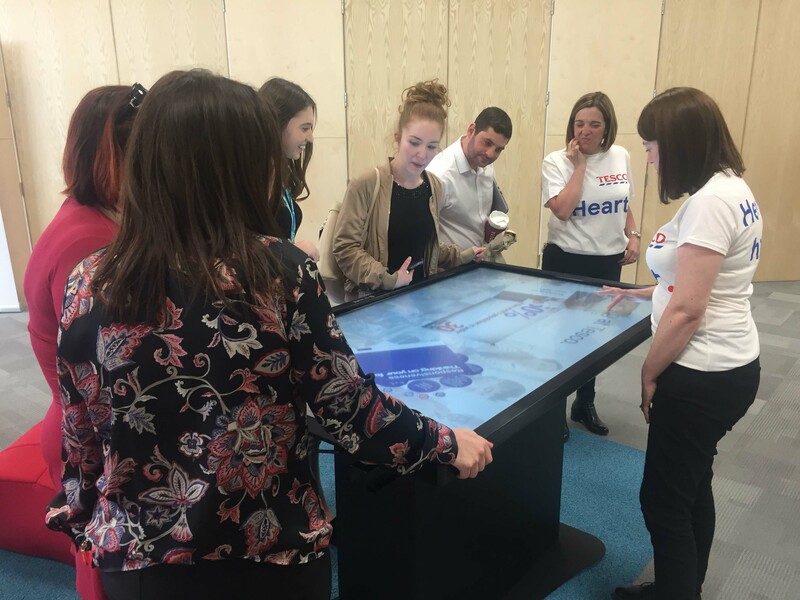 Hardware and software solution for NHS Scotland in their Beardmore Centre with table screen inserts and video wall.